“Puff Pastry at Brunch” transforms simple dishes into elegant and delicious fare with one ingredient: puff pastry. 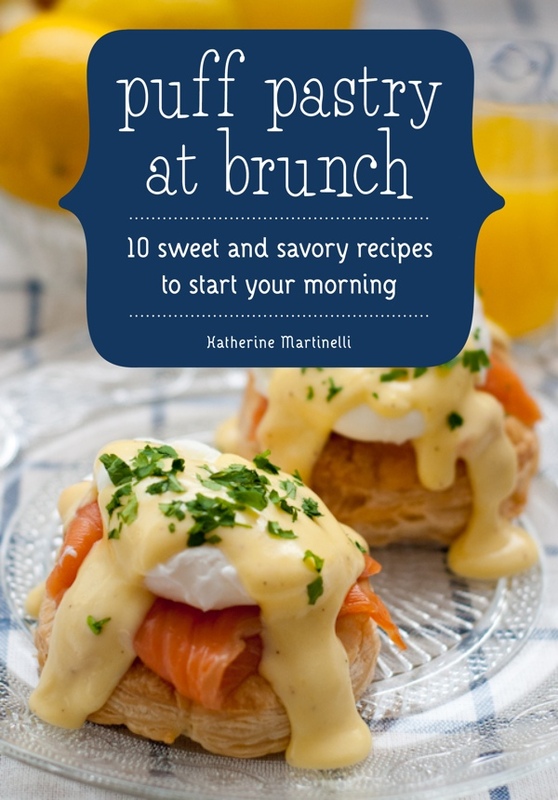 Katherine Martinelli uses puff pastry to create a savory Breakfast Galette with Scrambled Eggs, Crème Fraîche, and Chives, sweet and savory Maple-Cheddar Pinwheels and Smoked Salmon Eggs Benedict that is as gorgeous to look at, as it is delicious to devour. Katherine Martinelli is a food and travel writer and photographer who can be found either cooking or cuddled up with a cookbook in her spare time. A regular contributor to publications on three continents, her work has appeared in Time Out Israel, The Jewish Daily Forward, The Jewish Chronicle, StarChefs.com, and other publications. She has also written a travel app on where to eat in Jerusalem’s Mahane Yehuda market, which will be released in early 2012. Native New Yorkers, Katherine and her husband currently call Be’er Sheva, Israel home. This is Katherine’s first cookbook.